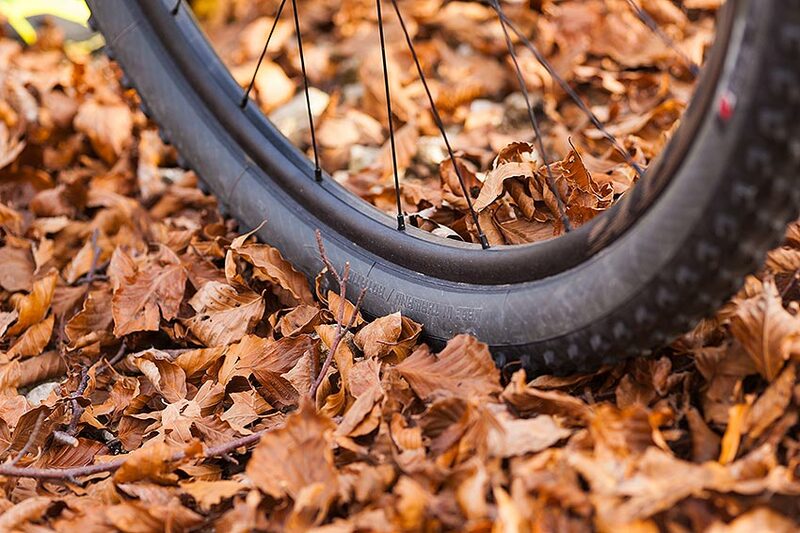 Bike riding in autumn can offer an unforgettable experience: the change of colours, the smell of the woods, the peace that the mountain conveys just before the arrival of the winter. However, getting out on your bike can be a very different affair depending on the latitudes you are at in the country: from the mellow aestival temperature of the Centre-South of Italy to the first cold days, almost winter-like, of the North. Clothing is key: it requires strategic thinking, and some experience too, as the general rules do not apply to everyone. The ability to endure low temperatures is subjective, and the types of route you may decide to tackle can be different too. Find here our list of 10 essential tips. A sound rule, at all times; coping with a cool start is imperative, especially when there is a long climb in the schedule. Vests with windstopper are a popular choice, but windproof/waterproof jackets for descents and occasional showers remain indispensable. 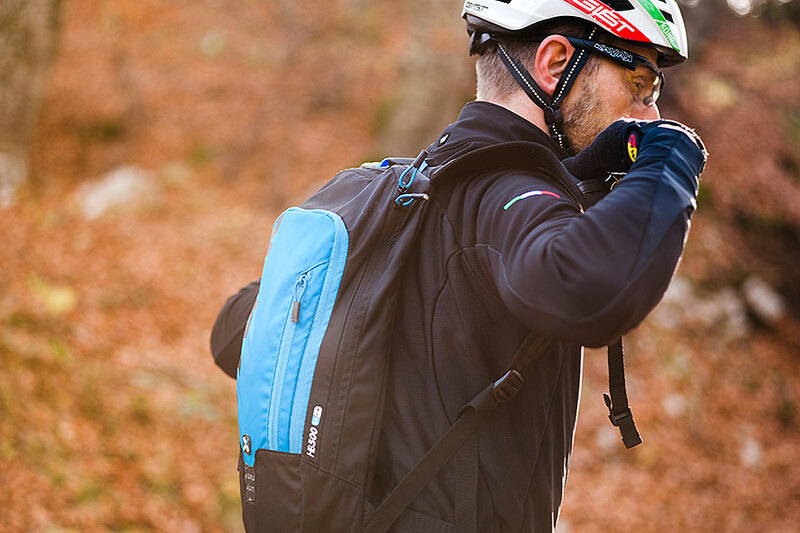 Perhaps during the summer you can often do without it; come autumn, the backpack is again an almost indispensable piece of gear for long rides. 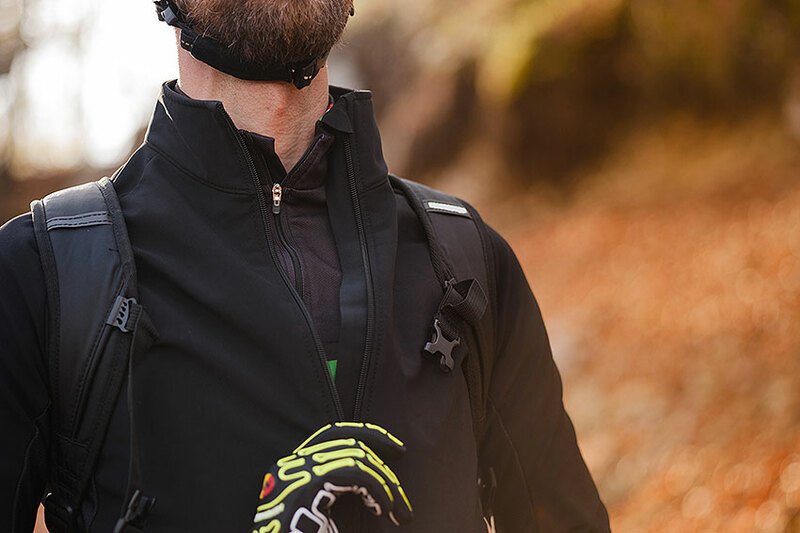 An additional neck warmer, helmet cap, waterproof shell, tools, a spare base layer to make descending even more pleasurable, an extra bar for your friend and plenty of water. 3 – The daylight hours reduce. When planning an ‘epic ride’ it is important to consider the route, weather conditions, your own abilities and those of the people with you: being back before dark is always a good idea, also to avoid the drop in temperature. 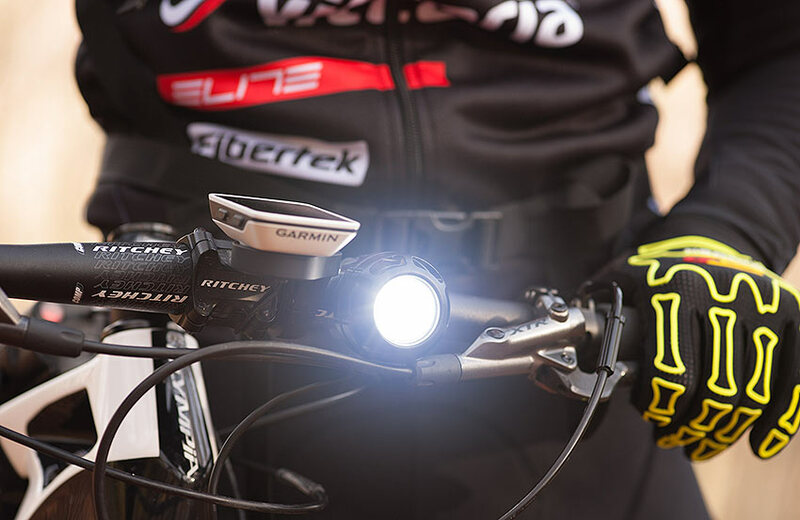 In any case, our advice is to keep a fully charged front light in your backpack. 4 – Speaking of lights. In autumn, a good night ride is something worth trying. It is cool, sure, but in the forest the temperature is often a few degrees higher. Top tip: two lights, one for the handlebar and one for the helmet, to illuminate in the direction you are looking to, especially on twisty tracks. Moreover, if one of the lights fails, you will still have the other to ride back home with. During the summer some trails are so dry and dusty that they become almost unrideable – not to mention the presence of mosquitoes and horseflies. 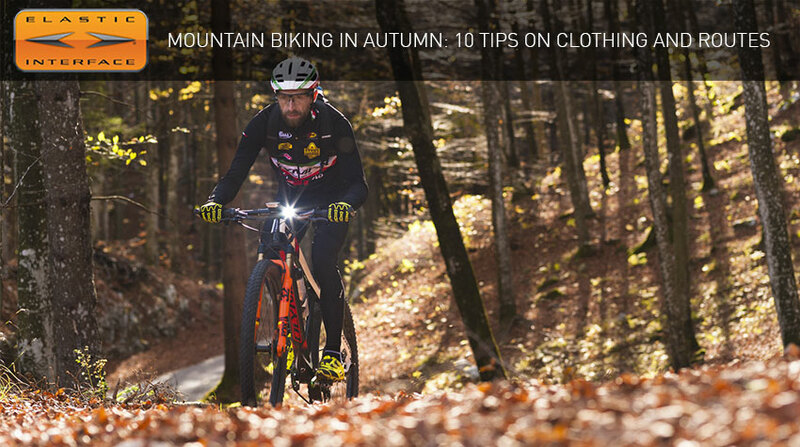 And now finally, the autumn brings back the ideal conditions to ride those trails that you have been neglecting because of the heat. 6 – Less busy trails. In this period you can ride mountain tracks that are almost deserted, including in those areas where during the summer the level of usage by hikers and walkers is high. It is always good practice to be careful with people that could be around hunting mushrooms and chestnuts, in any case it is important to give way to pedestrians, calling out a greeting as well: it never hurts. 7 – Boosting your riding ability in mud. The first rains give you the opportunity to gain back some bike finesse over slippery rocks and roots. Secret tips: a front tyre with a more aggressive tread pattern, tyre pressure set to lower psi than usual, staying relaxed and letting the bike move under your legs without being too tight, keeping the torso still and looking ahead. 8 – Try something new. The period of structured rides, or even races, is over; the autumn can help you discover something new: a ride in the saddle of a gravel bike, a cycle track or a route you have not yet explored, a cycle-touring adventure or – why not – a cyclo-cross challenge. 9 – Getting back in form. In summer, we often end up neglecting ourselves, on holiday and at home alike; come September, we start thinking about gym workouts and crash diets. A couple of regular mountain bike rides every week will help us get rid of a few extra pounds without major sacrifices. 10 – Some essential upgrades. Who said that you need to stop pedalling when the cold season sets in? If you are a gravity fan, a pair of waterproof shorts are a must, just like the typical front mudguard. Otherwise, leg and arm warmers, or good 3/4 bib tights, will keep your knees warm. 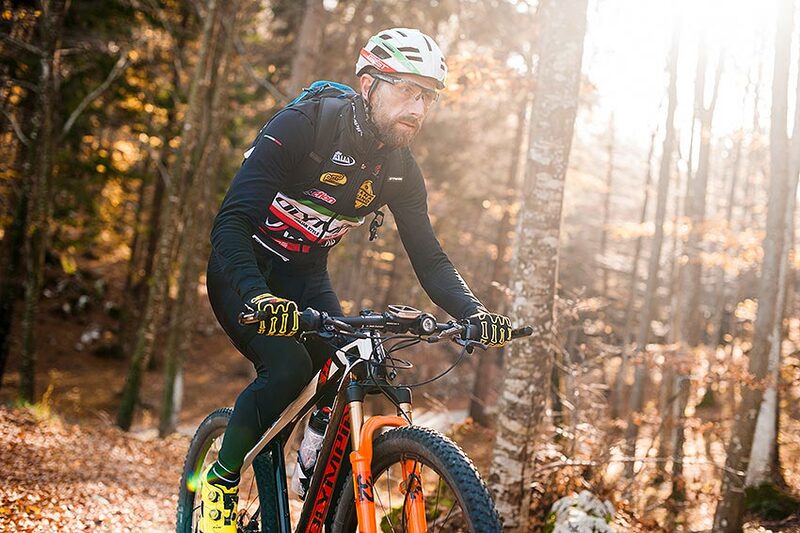 Autumn is the season of bike shows and bike tests: a great opportunity to get to know everything new for the coming season and to test different mountain bikes, broadening your knowledge and perhaps starting to nourish the dream of a new purchase. Otherwise, just to take advantage of seasonal sales and snap up a nice bargain to replace your old bike, perhaps still on 26 inches wheels.